The next photograph was taken on 12th January. It shows how it has changed over 3 days. 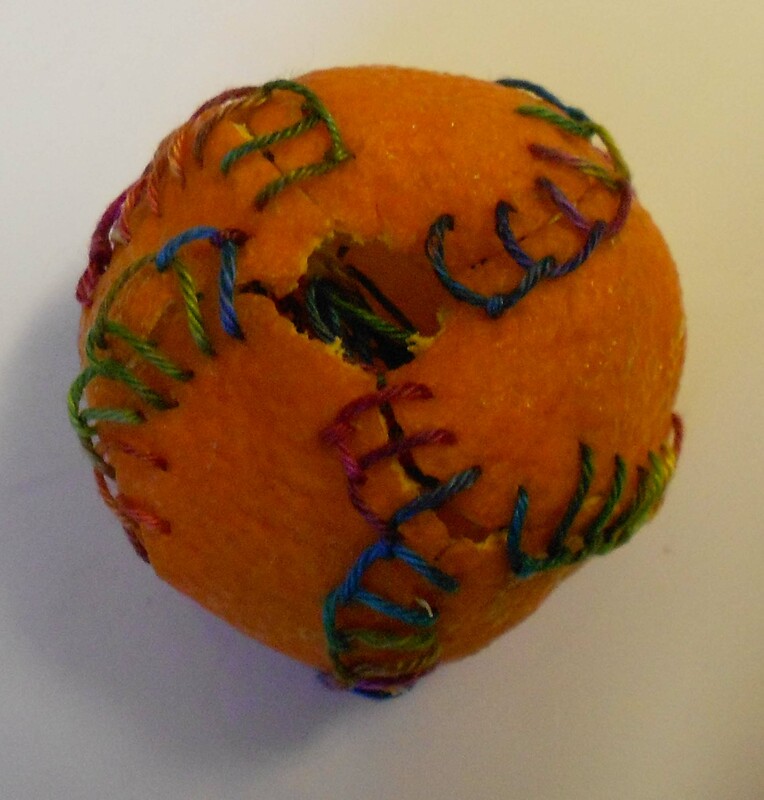 As it dries out the satsuma is shrinking! The only Satsuma I know of are PLUMS. This looks like a mandarin or maybe a large cumquat?? 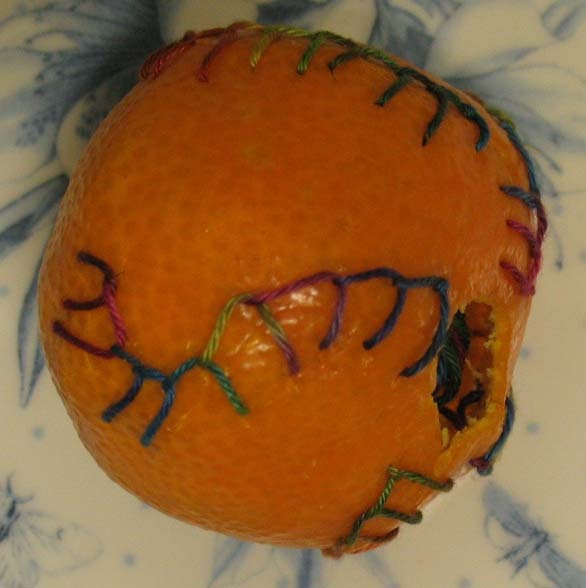 And WHY Myfanwy did you choose to stitch a piece of fruit? 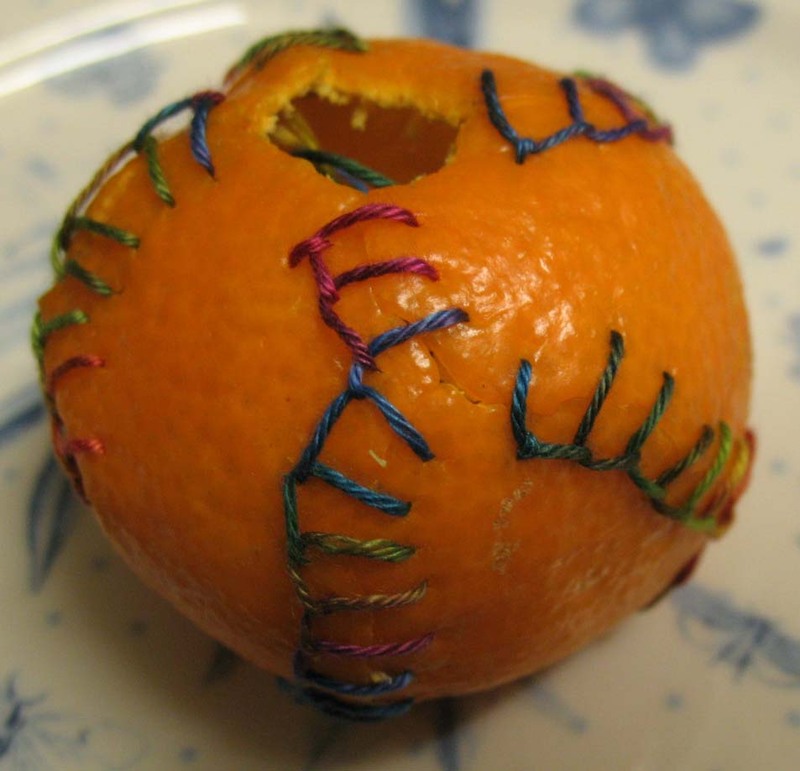 Were you hoping for interesting textures as the fruit “shrunk” ?? Interesting concept, whatever the reason. It was there – so why not!